This type of map is made to tell the story of a particular couple (or individual or family)- where they were born, where the met, spent time, traveled together, favorite places, etc. 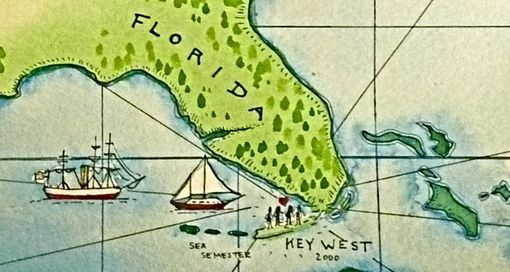 Maps are typically on watercolor paper, using watercolor washes and pen and ink. Typical size: 10" x 16". I ask clients for 3 to 10 sites, any photos of key buildings, places, etc. 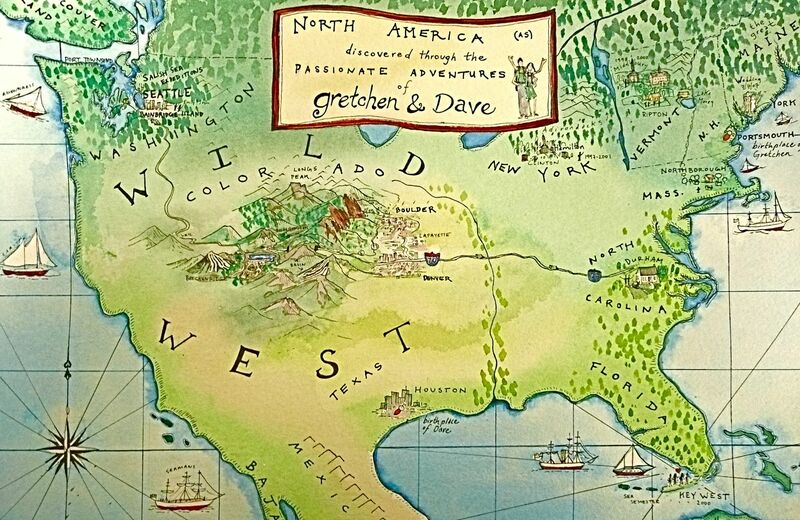 These maps are ideal for wedding presents and anniversaries. 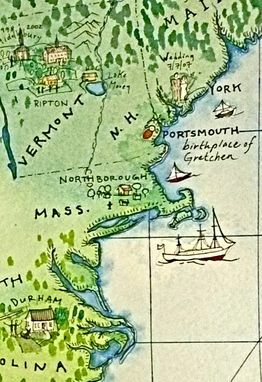 Alternatively, the map can be of an individual's or a family's travels and journeys as well. Dimensions: Can be made any size, but typically 10" by 16".